David Shields discusses the war's influence on Salinger's writing in this film outtake. 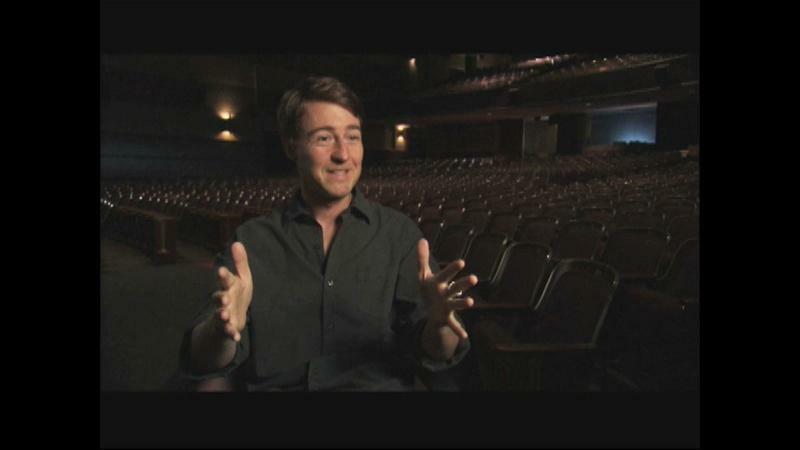 Edward Norton's Analysis of "The Catcher in the Rye"
Actor and producer Edward Norton discusses the novel and the character Holden Caulfield. J.D. 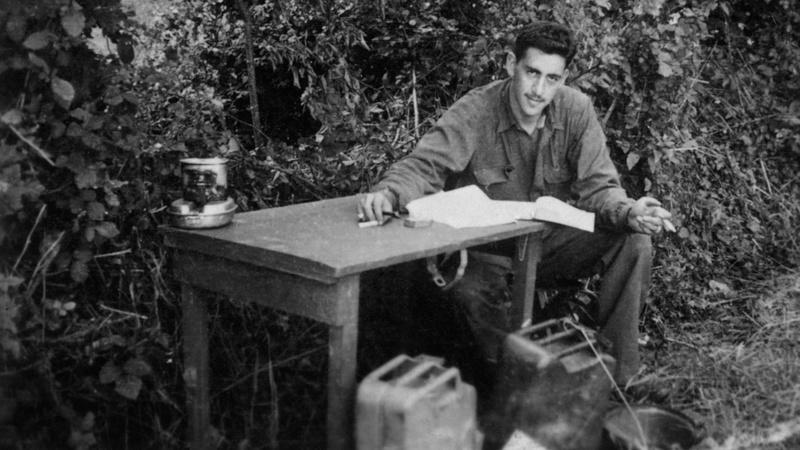 Salinger was part of the Counter Intelligence Corps in Europe during World War II. 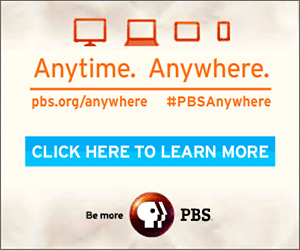 Watch Tuesday, January 21, 2014 at 9pm on WMHT TV. Salerno’s 10-year journey culminates in the first work to get beyond the author’s impenetrable wall of privacy and seclusion. While there have been over 100 academic books examining Salinger’s work in exhaustive detail, the story that no one had uncovered was that of Salinger’s remarkable life. Salerno overcame considerable obstacles to do this and present the material as a documentary film. Salinger never sat for a formal interview during his life, and there were no video or audio recordings of him and very few photographs. Additionally, legal restrictions specifically prevented Salerno from quoting virtually any of Salinger’s work on camera or from having anyone read or perform any of Salinger’s work. 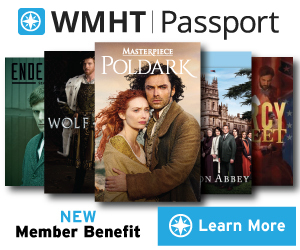 Regardless, American Masters:Salingershows in vivid detail the connections between the author’s life and work, and the people and events that inspired his most celebrated fiction. The film is structured not as a traditional cradle-to-grave biography, but instead as a mystery that takes viewers deep inside Salinger’s private world. It operates on two engines: the first is an investigative thriller and the second is a character study of a complex man who walked away from the world at the height of his fame. Detailing pivotal experiences in Salinger’s life from the 1940s, Salerno illustrates how they influenced Salinger’s writing and personal relationships for the rest of his life: his dogged pursuit of publication in The New Yorker despite numerous rejections through to his first success with “Slight Rebellion Off Madison” (1946); his relationship with Eugene O’Neill’s daughter Oona, who at 18 married the 53-year-old Charlie Chaplin; his literary breakthrough with “A Perfect Day for Bananafish” (1948) in The New Yorker; and, most importantly, his service in World War II, which began with the Allied invasion of Normandy. 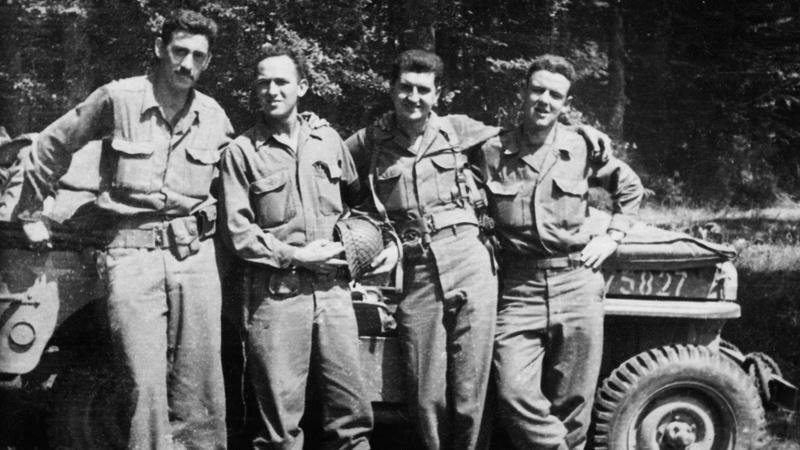 During his army years, Salinger developed a friendship with Ernest Hemingway; suffered mental collapse after spending nearly a full year in combat; investigated Nazis and entered Dachau concentration camp as part of the Counterintelligence Corps; and in Germany met and married his first wife Sylvia Welter, whom he divorced shortly after their move to the U.S. when he suspected she was a Nazi spy. Through these tumultuous years of combat and horror, Salinger kept writing and worked on The Catcher in the Rye, a 10-year project published in 1951. American Masters: Salinger delves into his many relationships with young women, featuring Jean Miller and Joyce Maynard; his literary success and total retreat from the limelight to Cornish, N.H.; his self-imposed isolation from his family and the world to write; his religious fanaticism; his rare and dramatic interactions with the press; and, above all, the literary secrets he left behind after his death. The documentary features interviews with some 150 subjects including Salinger’s friends, colleagues and members of his inner circle who speak on the record for the first time, as well as previously unseen film footage, photographs and other materials. Participants including E.L. Doctorow, Tom Wolfe, Gore Vidal, Pulitzer Prize-winners A. Scott Berg and Elizabeth Frank, actors Martin Sheen, Philip Seymour Hoffman, Edward Norton, John Cusack, Danny DeVito, playwright John Guare and Oscar-winning screenwriter Robert Towne all share Salinger’s influence on their lives, their work and the broader culture. “From day one, I felt that J.D. Salinger belonged on American Masters, together with the extraordinary artists they’ve profiled. This is my definitive version of the film. I think audiences will enjoy seeing the full story of his life,” said Salerno, who also co-authored Salinger (Simon & Schuster), the official book of the documentary, with David Shields. The book was No. 1 on the Los Angeles Times bestseller list and debuted at No. 6 on The New York Times bestseller list, among many other honors.